On Friday, my little man was off school because he’d had a 24-hour immersive experience about WWII at school. 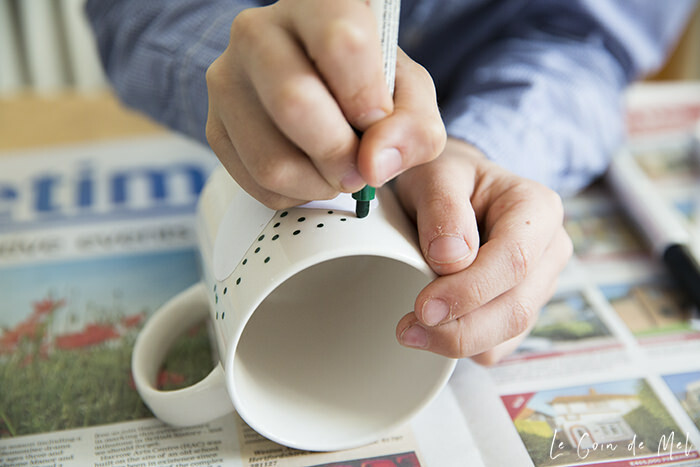 We spent the day together just relaxing, doing some crafts and Crevette decided to write a blog post about the easy mug art we spent the start of our morning on. Over to you, Crevette! Hi! 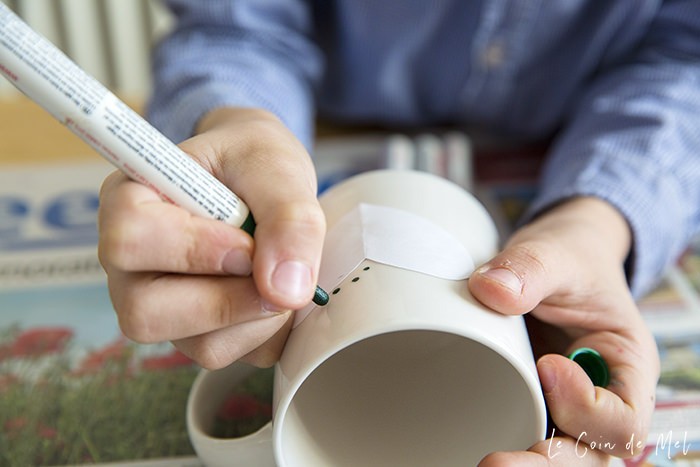 I’m taking over mum’s blog and today I will be showing you a bit of easy mug art, or how to paint a porcelain mug in minutes. Today I’m at home because I slept in school and we learned about the Blitz. We did lots of activities and ended up going to bed at 2 a.m. and we were given Friday off. So today me and mum are making crafts, taking photos and having a good time. 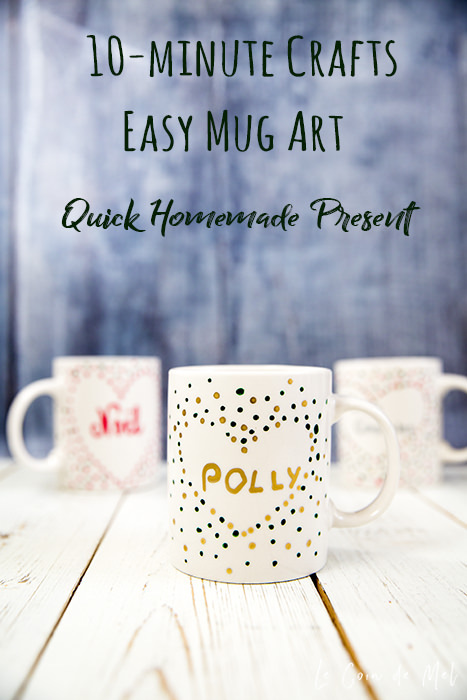 We thought we could turn our easy mug art activity into homemade Christmas presents and we made four of them: one for my friend Polly, one for my teacher, one for my grandma and one for my great-grandma. 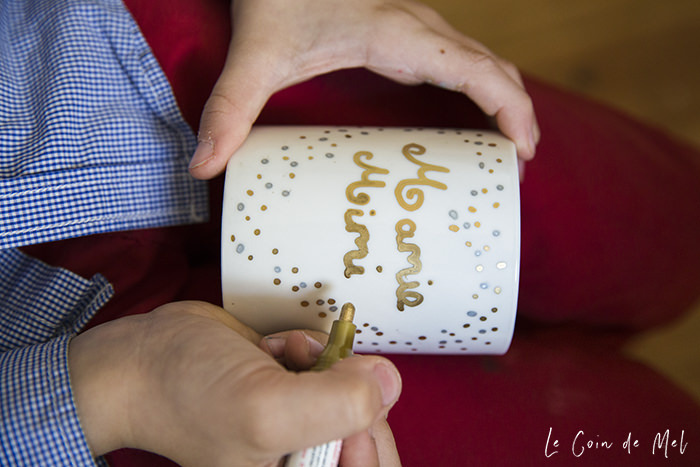 This is a good gift that is quick, easy and fun to make and an easy craft to do when you are bored. 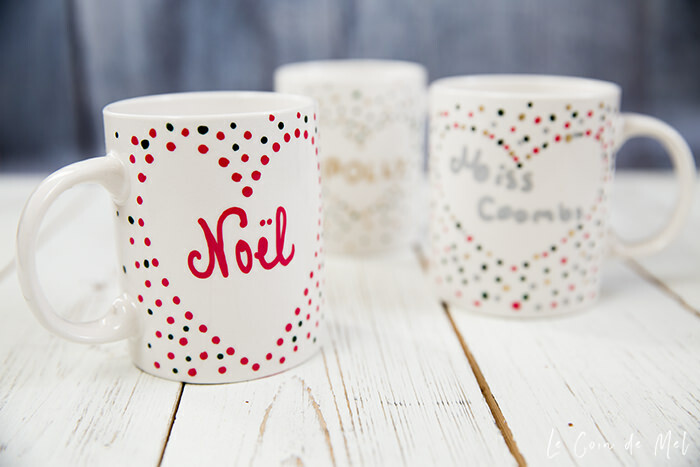 I used large porcelain mugs and Baker Ross Christmas Deco Paint PENS. 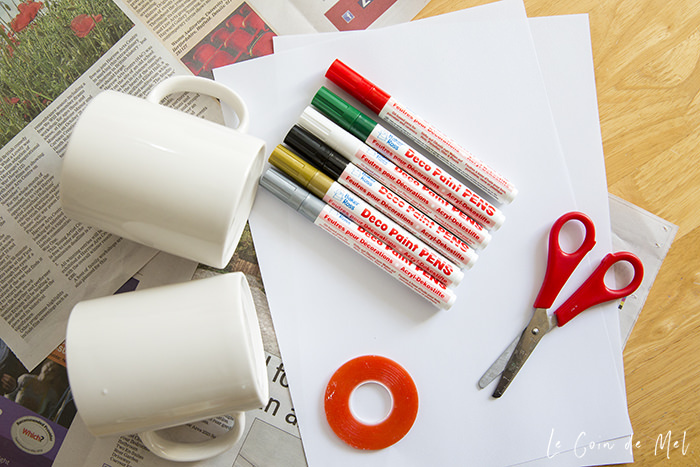 I recommend them because once you have the pens, you can do all sorts of crafts with them. 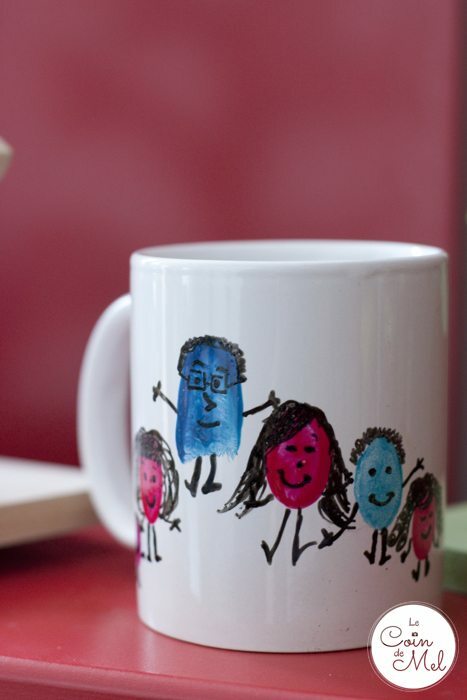 I find the mugs we made super cute and you don’t need to be an amazing artist to do this little bit of easy mug art. Let’s get started! Wash and dry the mugs. 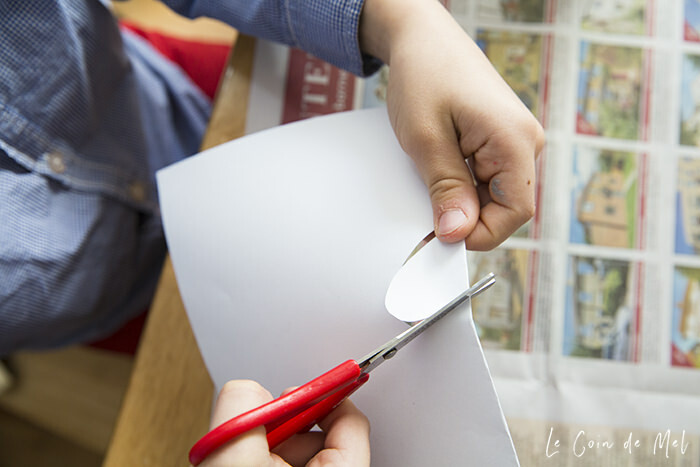 Start by folding your paper and cutting half of a shape on the folded edge. 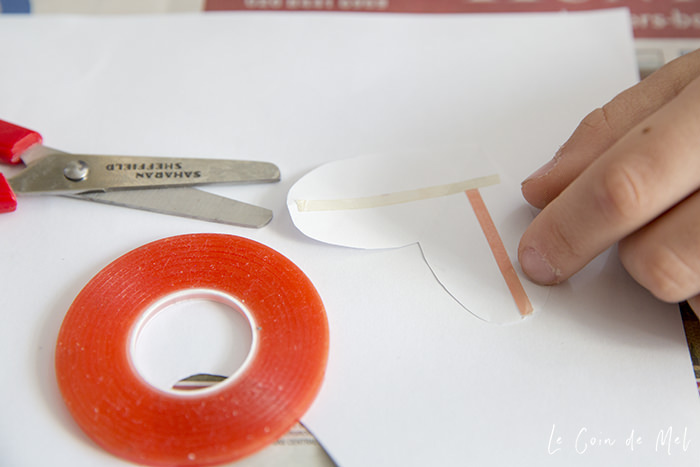 Stick the double sided tape onto your shape. 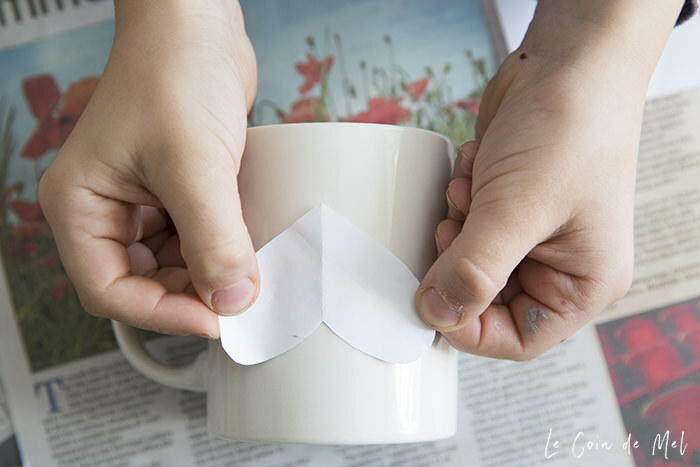 Stick the shape onto the mug. Paint little dots around the shape. 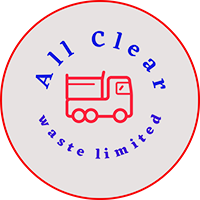 Add different colours until you are happy with the result. Leave to dry for a few minutes then peel off the shape template. Write a little message or name in the gap. Leave to dry for 4 hours and then place in a non-preheated oven at 160ºC for 90 minutes. 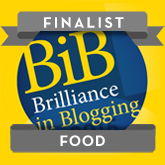 Disclosure: We were sent the products above free of charge but we were not compensated in any way for this blog post. 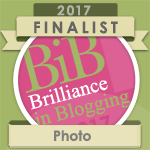 All opinions and photos are our own. I loved having a whole day with him and him only. One-on-one time is so rare with a larger family. We had the best day! 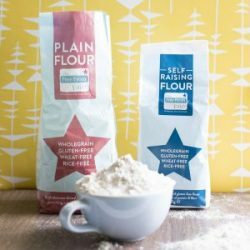 I can’t believe you made these they look so professional yet very easy to do – what a great gift idea! Aww this is such a lovely idea. 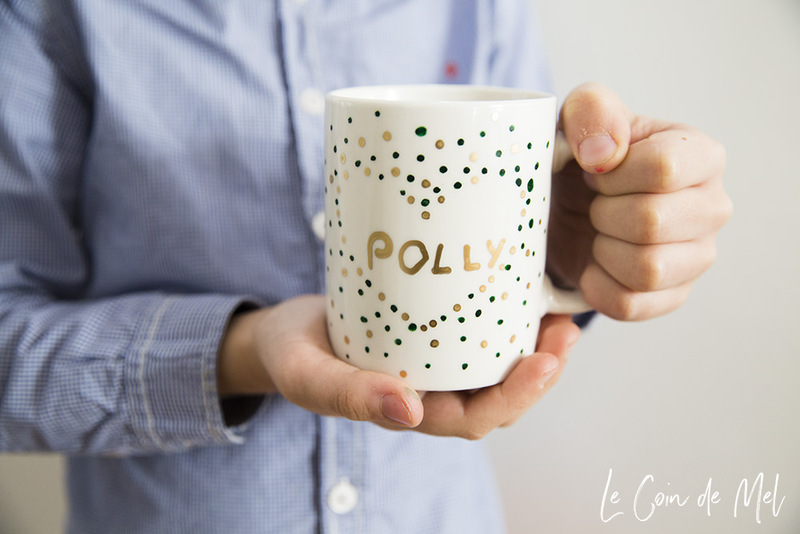 I find personalised, homemade gifts are a lways the best because you know the love and effort that goes into them! I think the recipients are going to love them. What a lovely idea! I love giving home made gifts for Christmas. My mum used to make things with us to give to my dad when we were little. Aww there really cute and such a great idea for Christmas presents for family. You are so clever JP. These look absolutely wonderful. I wish I had the energy your mum has for making gifts! He’s going to love getting a comment addressed to him! Will show him after school. He’s going to be so proud! Ahh these are gorgeous mugs. I love the simple designs, I think they look fab and would make brilliant gifts.